The vital objective of this report is to analysis Performance Evaluation of Dutch Bangla Bank Limited. Other objectives of this reports are to measure the overall performance of DBBL, to apply the critical knowledge in the practical field, to make a bridge between the theories and practical procedures of banking day-to-day operations, to gain practical knowledge by working in different desks of Local office branch of DBBL, to observe the working environment in commercial banks, to study existing banker-customer relationship, to know the overall functioning of DBBL and to have some practical exposures that will be helpful for my future career. To measure the overall performance of DBBL. To apply the critical knowledge in the practical field. To gain practical knowledge by working in different desks of Local office branch of DBBL. To know the overall functioning of DBBL. 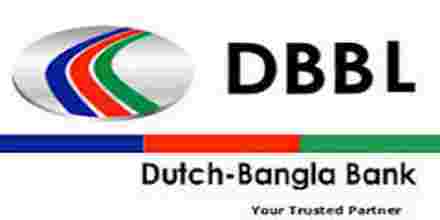 Dutch-Bangla Bank Limited (the Bank, DBBL) is a scheduled joint venture commercial bank between local Bangladeshi parties spearheaded by M Sahabuddin Ahmed (Founder & Chairman) and the Dutch company FMO. DBBL was established under the Bank Companies Act 1991 and incorporated as a public limited company under the Companies Act 1994 in Bangladesh with the primary objective to carry on all kinds of banking business in Bangladesh. The Bank is listed with the Dhaka Stock Exchange Limited and Chittagong Stock Exchange Limited. DBBL commenced formal operation from June 3, 1996. The head office of the Bank is located at Sena Kalyan Bhaban (4th floor),195, Motijheel C/A, Dhaka, Bangladesh. The Bank commenced its banking business with one branch on 4 July 1996. The bank is often colloquially referred to as “DBBL”, “Dutch Bangla” and “Dutch Bangla Bank”. After instability and frequent management changes in its initial years, DBBL overcame these obstacles to establish itself as a market leader. It has grown its reputation through social work rather than profits. The bank’s conservative nature, long-term strategies, hefty social donations and technology investments have always led to modest but steady profits. Due to investor confidence, DBBL share prices has steadily climbed in value. In January 2008, DBBL share prices reached Tk. 9,450 .00 in the Dhaka Stock Exchange, setting the record for the highest stock price in the history of Bangladesh. It is also one of the few banks that does not participate in merchant banking (which can lead to sporadic growth). DBBL has branded itself as a trusted bank through its banking practices and social commitments. Dutch Bangla Bank is the first and only local bank in Bangladesh to have an automated banking system. The bank has spent over Tk. 1 Billion in automation upgrades (first bank in Bangladesh to do so). This automation took place in 2003 whereby services of the bank were available uniformly though any branch, ATM and internet. Banking was a paper based until DBBL, with its wide local network, delivered banking automation and modern banking services to the masses. This effectively introduced the ‘plastic money’ concept into the Bangladeshi society. Figures of different components of the capital structure for the year 2006 and 2007 are shown below. In the annual report of the year 2009, capital structure did not contain any value for the component of proposed issue of bonus share, but in the annual report of the year 2009, it was mentioned that proposed issue of bonus share was 500 million taka. On the other hand proposed cash dividend did not contain any value in 2009, which was 95.53 in 2008. Commercial banking department is the heart of all banking activities. This is the busiest and important department of a branch, because funds are mobilized, cash transactions are made; clearing, remittance and accounting activities are done here. Copy of notarized partnership deed certified by all partners or registered partnership deed of join stock companies and firms duly certified by the register of join stock companies and firms. Partnership Resolution signed by all the partners to open account with DBBL indicating type of account and mode of operation. Certified copy charter /Bye laws and regulation/Constitution of the relevant organization. Copy resolution of managing committee/Executive committee for opening account with DBBL and operation of account-duty certified by chairmen /secretary. List of members of the managing committee /Executive committee- duty certified by chairmen /secretary. Memorandum and articles of association duly certified by the register of join stock companies and firms. Certificate of incorporation duly certified by the register of join stock companies and firms. Board resolution duly certified by the Chairman/Sectary of the company. Form XII and schedule X duly certified by the register of join stock companies and firms. Certificate of commencement of business duly certified by the register of join stock companies and firms. List of members of the managing committee /Executive committee- duty certified by a Gazette officer. Certified by relevant Presidential order/ Act of Parliament establishing the corporation. Resolution of board of directors /competent authority to open account with DBBL. Certified list of Board of Directors. A deposit which is payable at a fixed date or after a period of notice is a time deposit. DBBL accepts time deposits through Fixed Deposit Receipt (FDR), Short Term Deposit (STD) and Bearer Certificate Deposit (BCD) etc. While accepting these deposits, a contract is done between the bank and the customer. When the banker opens an account in the name of a customer, there arises a contract between the two. This contract will be valid one only when both the parties are competent to enter into contracts. As account opening initiates the fundamental relationship & since the banker has to deal with different kinds of persons with different legal status, DBBL officials remain very much careful about the competency of the customers. Payment Process of the paying bank Payment is made through clearing Confirm that the DD is not forged one. Payment of interest: It is usually paid on maturity of the fixed deposit. DBBL calculates interest at each maturity date and provision is made on that “miscellaneous creditor expenditure payable accounts” is debited for the accrued interest. Encashment of FDR: In case of premature FDR< DBBL is not bound to accept surrender of the deposit before its maturity date. In order to deter such a tendency the interest on such a fixed deposit is made cut a certain percentage less the agreed rate. Normally savings bank deposit is allowed. Loss of FDR: In case of lost of FDR the customer is asked to record a GD (general diary) in the nearest police station. After that the customer has to furnish an Indemnity Bond to DBBL a duplicate FDR is then issued to the customer by the bank. The amount of Cheques, Pay Order (P.O), and Demand Draft (D.D.) Collection of amount of other banks on behalf of its customer is a basic function of a Clearing Department. Outward Clearing: When the Branches of a Bank receive cheque from its customers drawn on the other Banks within the local clearing zone for collection through Clearing House, it is Outward Clearing. “Crossing seal” on the left corner of the cheque & “payees account will be credited on realization “seal on the back of the cheque with signature of the concerned officer. This is the survival unit of the bank because until and unless the success of this department is attained, the survival is a question to every bank. If this section does not properly work the bank it may become bankrupt. This is important because this is the earning unit of the bank. Banks are accepting deposits from the depositors in condition of providing profit to them as well as safe keeping their profit. Now the question may gradually arise how the bank will provide profit to the clients and the simple answer is – Investments & Advance. Why the bank provides Investment to the Borrowers? To earn profit from the borrowers and give the depositors profit. To accelerate economic development by providing different industrial as well as agricultural Investment. To create employment by providing industrial Investments. To pay the employees as well as meeting the profit groups. It is a continue advance facility. By this agreement, the banker allows his customer to overdraft his current account up to his credit limits sanctioned by the bank. The profit is charged on the amount, which he withdraws, not on the sanctioned amount. DBBL sanctions SOD against different security. Advance allowed to individual/ firms against financial obligation (i.e. lien on FDR/PSP/BSP/ insurance policy share etc.) This may or may not be a continuous Credit. Investment allowed for retirement of shipping documents and release of goods imported through L/C taking effective control over the goods by pledge in go downs under Banks lock & key fall under this type of advance. This is also a temporary advance connected with import, which is known as post‑import financing, falls under the category “commercial lending”. Advance allowed for retirement of shipping documents, release of goods imported through L/C falls under trust with the arrangement that sale proceed should be deposited to liquidate within a given period. This is also a temporary advance connected with import, which is known as post‑import financing, falls under the category “commercial lending”. Payment made by the Bank against lodgment of shipping documents of goods imported through L/C falls under this head. It is an interim advance connected with import and is generally liquidated against payments usually made by the party for retirement of the documents for release of imported goods from the customer’s authority. It falls under the category “commercial Bank”. Investments allowed to individual/ enterprise construction of house (residential or commercial) fall under this of advance. The amount is repayable by monthly installment within a specified period, Investment is known as Investment (HBL‑GEN). The documents to be obtained­:DP note. Irrevocable general power of attorney. Memorandum of deposit of title deed. Investments allowed to the Bank employees for purchase/construction of house shall be known as Staff Investment (HBFC‑STAFF). DBBL considers the Investments, which are sanctioned for more than one year as term Investment. Under this facility, an enterprise is financed from the starting to its finishing, i.e. from installation to its production. Short term and long term Investments allowed to individual/ firms / industries for a specific purpose but a definite period and generally repayable by the installments fall under this head. These types of lending are mainly allowed to accommodate financing under the categories. The bank is very often requested by his customer to issue guarantees on their behalf to a third party – committing to make an unconditional payment of certain amount of money to the third party, if the customer (on whose behalf it gives guarantee) becomes liable, or creates any loss or damage to the third party. Financial accommodation allowed to customer for exports of goods falls under this head is categorized as “Export Credit “. The Investment must be liquidated out of export proceeds within 180 days. The mortgage of movable property for securing Investment is called hypothecation. Hypothecation is a legal transaction whereby goods are made available to the lending banker as security for a debt without transferring either the property in the goods or either possession. The banker has only equitable charge on stocks, which practically means nothing. Since the goods always remain in the physical possession of the borrower, there is much risk to the bank. So, it is granted to parties of undoubted means with the highest integrity. Pledge is the bailment of the goods as security for payment of a debt or performance of a promise. A pledge may be in respect of goods including stocks and share as well as documents of title to goods such as railway receipt, bills of lading, dock warrants etc. duly endorsed in bank’s favor. In case of hypothecation the possession and the ownership of the goods both rest the borrower. The borrower to the banker creates an equitable charge on the security. The borrower does this by executing a document known as Agreement of Hypothecation in favor of the lending bank. Lien is the right of the banker to retain the goods of the borrower until the Investment is repaid. The bankers’ lien is general lien. A banker can retain all securities in his possession till all claims against the concern person are satisfied. According to section (58) of the Transfer of Property Act,1882 mortgage is the ‘’transfer of an profit in specific immovable property for the purpose of securing the payment of money advanced or to be advanced by way of Investment, existing or future debt or the performance of an engagement which may give rise to a pecuniary liability”. In this case the mortgagor dose not transfer the ownership of the specific immovable property to the mortgagee only transfers some of his rights as an owner. The banker exercises the equitable mortgage. Having completely and accurately prepared the necessary Investment documents, the Investment officer ready to disburse the Investment to the borrower’s Investment account. After disbursement, the Investment needs to be monitored to ensure whether the terms and conditions of the Investment fulfilled by both bank and client or not. DBBL Limited has already established a favorable reputation in the banking industry of the country. It is one of the leading private sector commercial banks in Bangladesh. The bank has already shown a tremendous growth in the profits and deposits sector. DBBL has provided its banking service with a top leadership and management position. The Board of Directors headed by its Chairman Mr. Abul Hasnat and Md. Rashidul Islam is a skilled person in business world. DBBL Limited has already achieved a high growth rate accompanied by an impressive profit growth rate in 2007. The number of deposits and the loans and advances are also increasing rapidly. DBBL has an interactive corporate culture. The working environment is very friendly, interactive and informal. And, there are no hidden barriers or boundaries while communicate between the superior and the employees. This corporate culture provides as a great motivation factor among the employees. DBBL has the reputation of being the provider of good quality services too its, potential customers. Some of the job in DBBL has no growth or advancement path. So lack of motivation exists in persons filling those positions. This is a weakness of DBBL that it is having a group of unsatisfied employees. In terms of promotional sector, DBBL has to more emphasize on that. They have to follow aggressive marketing campaign. In order to reduce the business risk, DBBL has to expand their business portfolio. The management can consider options of starting merchant banking or diversify into leasing and insurance sector. A large number of private banks coming into the market in the recent time. In this competitive environment DBBL must expand its product line to enhance its sustainable competitive advantage. In that product line, they can introduce the ATM to compete with the local and the foreign bank. They can introduce credit card and debit card system for their potential customer. In addition of those things, DBBL can introduce special corporate scheme for the corporate customer or officer who have an income level higher from the service holder. At the same time, they can introduce scheme or loan for various service holders. And the scheme should be separate according to the professions, such as engineers, lawyers, doctors etc. All sustain multinational banks and upcoming foreign, private banks posse’s enormous threats to DBBL.If that happens the intensity of competition will rise further and banks will have to develop strategies to compete against an on slough of foreign the banks. The default risks of all terms of loan have to be minimizing in order to sustain in the financial market. Because default risk leads the organization towards to bankrupt. DBBL has to remain vigilant about this problem so that proactive strategies are taken to minimize this problem if not elimination. Investment capital: DBBL investment capital was taka 400 million when the started bank at the 2003.In the running year (2010) invested by taka 4,000 million. Commercial Banking: Commercial banking and lending policy is the more impressive between other commercial bank. The commercial bank maintain the cash and credit section. Wherever maintain the loan sanction. Also provide to the other clearing functions as it is like any other commercial bank. Functional Area: Maintain all types of deposit A/C and making investment to conduct foreign exchange business. It is best for swift and faster banking services. Commercial loan: This bank lend to the clients in the year of 2008 and 2009 tk. 41698.32 and tk.48410.99 million. Which was huge from other commercial banks loan. Foreign Exchange Business and PBL: Income From nine branches foreign exchange portfolio is 25% in the year of 2009.It is attractive remarkable sector of DBBL. Moreover, the percentage is highly increases Foreign Exchange Business and PBL. Brand Sponsor of the Club: DBBL is the brand sponsor of Kalabagan Cricket Academy. Infect, the bank should support to making new cricketers for the next generation. Rewarding to the Poor and Scholar Students: This bank making generation fast for leading in world. Every year rewarded certificate, crest and stipend to the scholar. Also Should have sponsor to the travel & tours for the their mind refreshment. That’s why it is example of the others commercial. Tree Plantation: The city mayor of Dhaka declared by green dhaka green city .DBBL join with the slogan for the tree plantation project in the urban & rural areas in Bangladesh. Health Care: Recently the DBBL given the financial support for the cancer treatment and health care development in the BSMMU. Deposit: Deposits by the both year tk. 51575.67 and 67788.53(year 2008 and 2009). Investment: Investment capital by both year in 2008 and 2009 tk.1,000 million and tk.1500 million. As a new department, HUMAN RESOURCES DEPARTMENT is a tall organization. The organizational hierarchy is not well designed like flat organization. The working environment is not congenial & appropriate. The working desk provides sound pollution. It looks like a hall room. Recruitment and selection process is a time consuming and lengthy process. The modern technology is not used in the recruitment and selection process. The backdated methods are using for selection until today. The record keeping system is also backdated, not followed computerized system properly. For nomination of foreign training, the authority sometimes practices nepotism. The bank does not follow the systematic process for trainee nomination. Delayed government order and postponed the training program by ministry must create negative impact towards the employees motivation and also destroy the lucrative training opportunities for the employees of Bangladesh bank. Bangladesh Business and Trade Association and Bangladesh Institute of Bank Management are providing dynamic contribution to train the employees of Bangladesh Bank. The employees of outside of head office deprive of foreign training facilities only 10 to 15 percent employees can get the opportunities of foreign training. BB is an autonomous body but practices the govt. pay scale for compensation, but not pay on the basis of market price and cost of living. But the pension policy and the payment of pension to the employees are very fair and transparent. The transfer and promotion process is fair but the promotion is not faster. Loan facilities are very attractive to the employees of Bangladesh bank. Medical /accommodation facilities are almost eligible in the context of our country. But the quantities of accommodation system and medical facilities are not fulfilling the demand of the employees. PMS is better than ACR. But it is very difficult to implement PMS at the present situation because it provides the following problems. There is no policy to build up harmonious relationship among the employees. The employees cannot protest the injustice of the authority because the pure trade union is absent there. CBSP project is inventing various new systems and policies for acceleration of managerial activities in the Bangladesh bank. From my point of view, there is an excess manpower than requirement for the organization. Finally, HR department of Bangladesh bank is trying to do better human resource practice in term of exchanging views and ideas from foreign central banks. If the enter Commercial Banking system is fully computerized then they satisfy the customer by provide fast service. If they establish networking system with their branches then it can easily transfer data within short time. If they cancel the introducer system then they can collect more deposit through new account and it also satisfied the customer. Evaluate the securities value properly to avoid the risk of loan recovery. The punishment system should be established to discourage the unlawful activities of employee. As a Thesis report of DBBL. I have truly enjoying my internship from the learning and experience viewpoint. I am confident that this thesis program at DBBL will definitely help me to realize my further carrier in the job market. As there are lots of local and foreign banks in Bangladesh the DBBL is promising commercial Bank among them. In this competitive market DBBL has to compete not only the others commercial banks but also with the public Bank. DBBL is more capable of contributing towards economic development as compared with other bank. DBBL invested more funds in export and import business. It is obvious that the right thinking of this bank including establishing a successful network over the country and increasing resources will be able to play a considerable role in the portfolio of development. Success in the banking business largely depends on effective lending. Less the amount of loan losses, the more the income will be from Credit operations the more will be the profit of the DBBL Limited and here lays the success of Credit Financing.